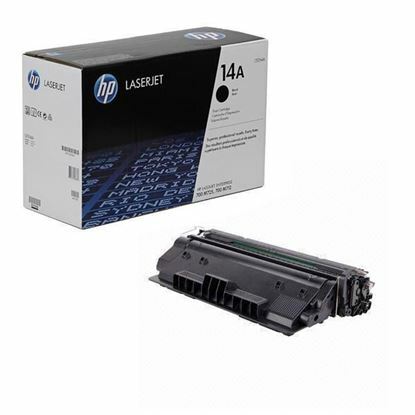 We stock both the standard and high capacity toner cartridges for your HP LaserJet M725z+ printer. First we bring to you the genuine original HP cartridges. 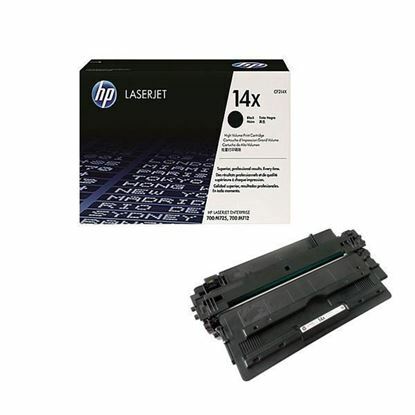 HP box, HP label, HP price. We also have on offer our Red Bus branded HP 14A & 14X (also known as the CF214A & CF214X). To make these we take a used, empty original toner cartridge, put it through our thorough cleaning and inspection process, replace any worn or damaged internal compoents, fill it with our specially formulated toner powder, test the print quality at least matches the original, and finally pack it in our shiny Red Bus box.